Janet’s work with PSfPS centres around developing practical workshops that combine structured learning with skill development. Since 1998 Janet has worked as an independent instructional designer in industries as diverse as automotive, energy and FMCG and with audiences from petrol station attendants to Group Managing Directors. In her early career Janet worked in education, at various times working at every level from teaching junior school through to supervising doctoral candidates. Later on, Janet worked as a consultant at PE International with clients primarily in the automotive industry and civil service. 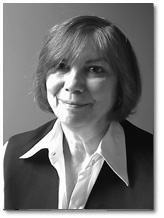 Janet has a BA in History from Reed College and a PhD in Medieval History from The University of Reading. Outside of work, Janet enjoys travelling and buying new gadgets to make her life more complicated.